Click on Contacts and click New. Fill in the information and click Create Contact. 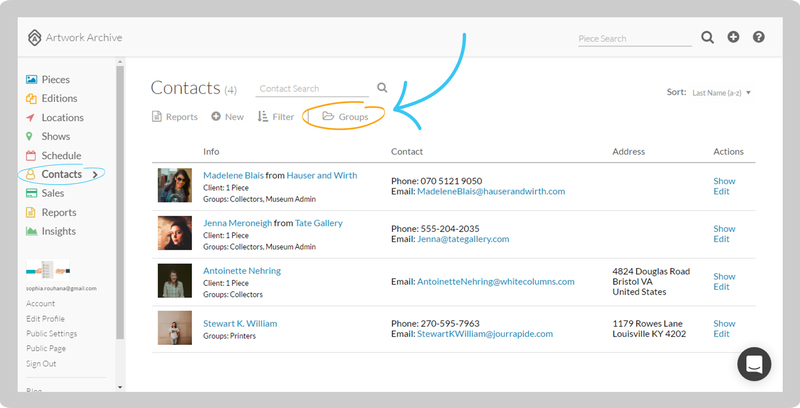 Adding Contacts will allow you to easily keep track of the important people associated with your art business such as buyers and galleries so you have their details whenever and wherever you need them. 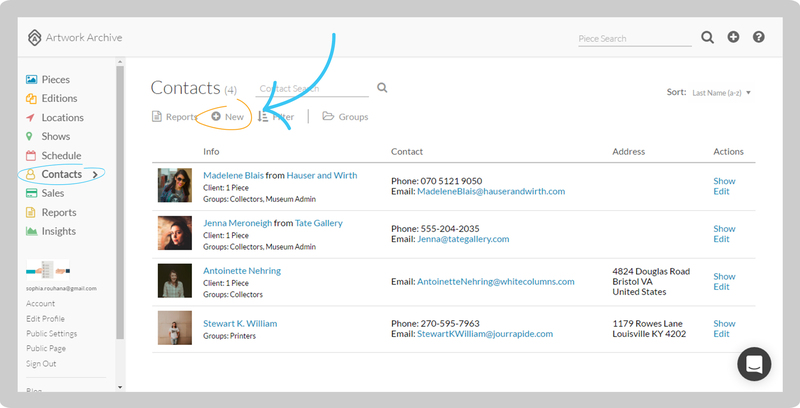 Note: To add your Contact to a Group you must first create a Contact Group under the Contacts tab. 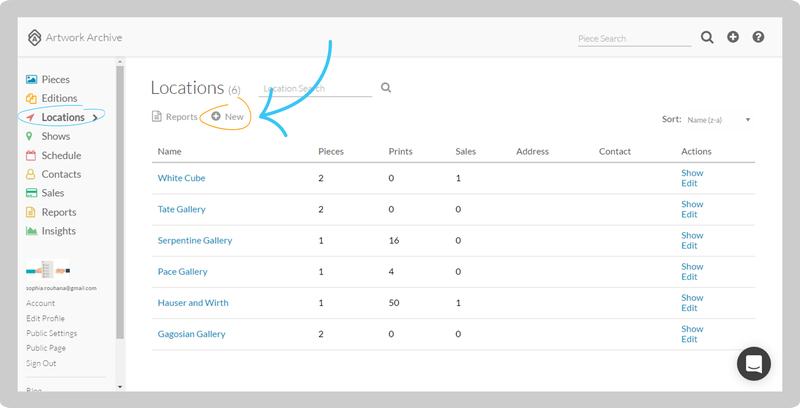 To add a Location Relation you must first create a Location under the Locations tab. 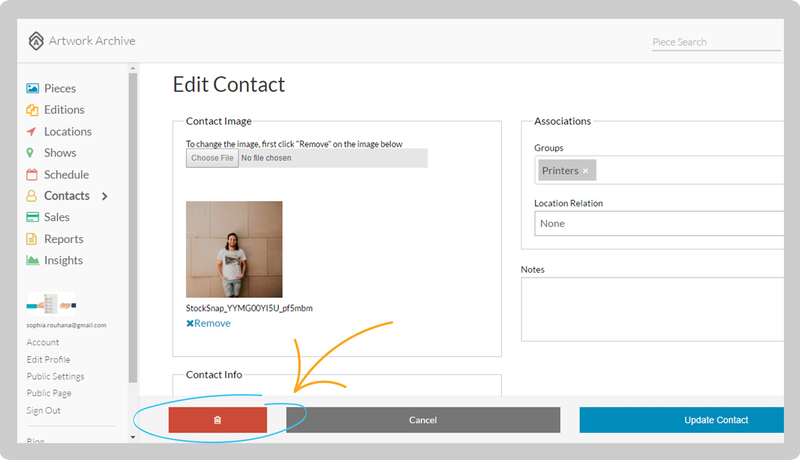 Click on Contacts and click Edit on the right-hand side of the Contact under Actions. Add in the new information and then click Update Contact. 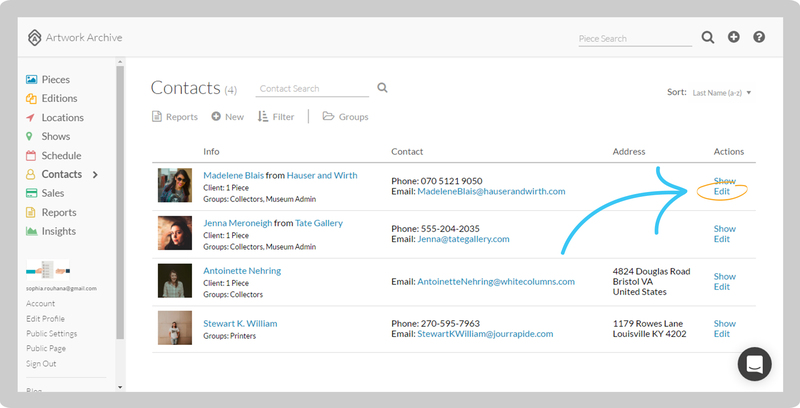 Click on Contacts on the left-side menu. Click Edit on the right hand side of the Contact under Actions. Then click the trashcan icon to permanently delete the Contact.